In this episode of Turning Lemons Into Lemonade, I had the immense pleasure of interviewing Pam Carpenter. I met Pam just a couple of months ago in Todd Herman’s Certified Partners/ 90 Day Basecamp program! Pam specializes in technology – particularly helping create membership sites and create residual income. Pam was SO transparent in sharing her business path and some of the challenges she’s faced along the way. She shared how she left her real estate firm after her manager was taken away in handcuffs – and that she either had the choice to get another job – or to start her own business. She launched her consulting business and started building her client roster. But she quickly found that instead of one boss, she had 15 smaller bosses that all had immediate needs. We also talked about one of the biggest challenges in a consulting of service business is that you are sometimes in client acquisition mode, and you are sometimes in client service mode. When you’re in full client service mode, it’s easy to ignore the client acquisition tasks – until one day you wake up and have no income and no prospect pipeline! As a single mother, she had put herself through college, raised two children, and had never missed a bill – until she was an entrepreneur! Because of the feast and famine cycle of her business, she woke up one day and had no new clients, no money coming, in and she couldn’t pay her bills! When she talked to her mom about it, her mother said, “I told you so.” As an entrepreneur, we often feel super alone – and like many of the people around us just don’t “get us” and aren’t supportive of the unknown! Pam had hired a coach who gave her advice on how to step off the income roller coaster – and she just didn’t want to do it! So she fought it – until she realized that she was paying this membership coach (Ryan Lee) for his advice – and she wasn’t taking it! Her long time boyfriend said what all of our significant others say, “You don’t take my free advice all the time – but you’re paying for this advice – just do it!” He lent her money to travel to attend a live event – and at that FREE live event – she found her first client for one of her new programs! She said that in October, she had made about $27,000 that whole year, and after the event and implementing a product and program, she earned another $36,000 before year end! This was literally the moment that changed her business from struggling to multi-six figure! 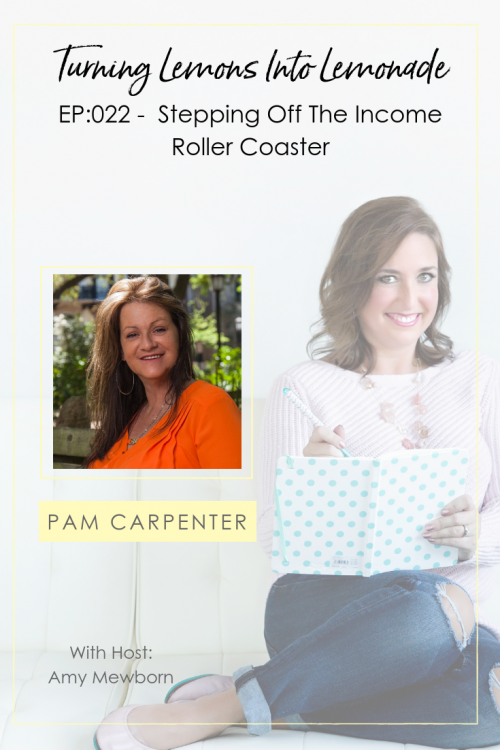 To hear more about Pam Carpenter – and how she went from borrowing money from her boyfriend to pay her bills to building a MULTI six figure business, listen here!